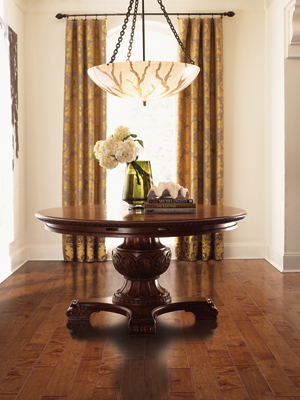 Elevate the beauty and functionality of your interior with Bob Wagner’s Flooring America. We are your source for quality window coverings in West Chester, PA. With our vast product selection and customer-oriented approach to service, you have the materials and resources to complete your remodeling project. Arrange a consultation with our team today and explore your interior design options. Improve the aesthetic appeal of your home with Hunter Douglas®. This venerable brand is well-known for their blinds, shades, and shutters. By utilizing the latest technology and dependable materials, these coverings provide an advanced level of comfort, privacy, and energy efficiency. Now, you don’t need to make compromises between form and function! Hunter Douglas® makes it easier to decorate your windows while protecting your interior. Our collection of name-brand window coverings includes products in a variety of colors, styles, and patterns. In other words, your interior design options are limited only by your imagination. Not sure where to begin? Don’t worry--we have you covered. Our showroom staff is knowledgeable in the latest trends in remodeling and interior design. Discuss your goals with us, and we can point you in the right direction. We can even coordinate your choices with quality flooring. Window coverings are a versatile addition to any room. They make your windows more attractive while also enhancing your energy savings. Direct sunlight that enters your room can increase the indoor temperature, which makes your air conditioning system work harder. Hunter Douglas® coverings block out direct sunlight, making the room cooler and lightening the burden on your AC. As a result, you can enjoy the indoors and save money on your monthly energy bills. That’s not all. Hunter Douglas® products shield your interior from harmful UV radiation. This technology protects your family from the harmful effects on the sun. Also, it protects your furniture and flooring from warping, fading, and other premature wear caused by exposure. Now, you can control the light and comfort of your home with the press of a button. Many of our Hunter Douglas® window coverings include motorized options. Save time, energy, and frustration and opt for motorized blinds and shades. With many different styles and automation options available, now is the perfect time to redefine your interior design. Contact us to arrange a consultation for Hunter Douglas® window coverings. Our showroom proudly serves property owners throughout West Chester, PA, including Malvern, Frazer, Newtown Square, Glen Mills, and the surrounding areas.